It is a truth universally acknowledged that 2016 has not been a funny year. 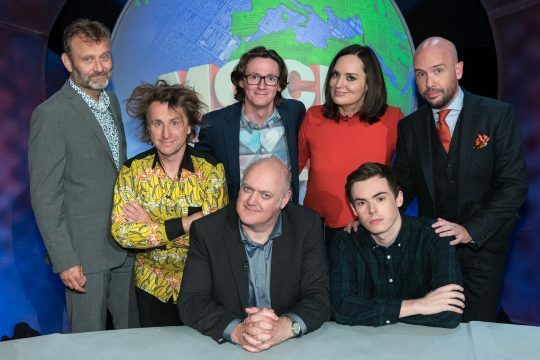 So, in an attempt to stem the dark tide of celebrity deaths, Panamanian tax revelations and Donald Trump, BBC Two are deploying a comedy Canute in the form of their satirical behemoth Mock the Week. Having decided – after much deliberation – not to rebrand as ‘Mocky McMockface’, the hit topical show is back to celebrate its 150th glorious episode next month. 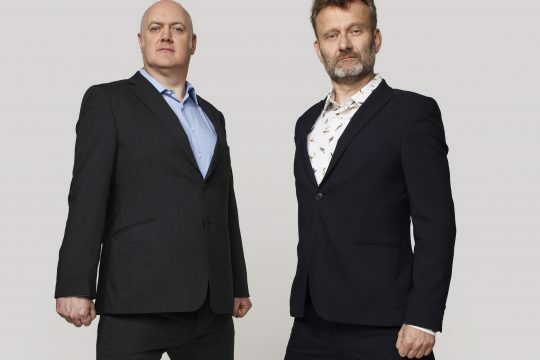 Legal injunctions mean details of series fifteen’s line ups are sketchy, but American news outlets are openly naming Dara O’Briain and Hugh Dennis as being involved for the twelfth straight year. Online speculation is also mounting that Ed Byrne, Milton Jones, Katherine Ryan, Josh Widdicombe, Rob Beckett, Zoe Lyons, Holly Walsh and Sara Pascoe will be around to provide the continuity alongside a record number of up and coming talents from the UK’s thriving comedy circuit such as Nish Kumar, Dane Baptiste and Rhys James. Mock the Week was created by Dan Patterson and Mark Leveson, the creative force behind the iconic improv-based show Whose Line Is It Anyway? which ran for ten years on British TV before successfully transferring to the United States. Meanwhile the legendary show returns to London’s West End for 14 live performances only at the iconic London Palladium from 9th to 19th June 2016 with Dan Patterson and Mark Leveson at the helm. Pinki Chambers is the Executive Editor of Mock the Week for the BBC. It is produced for the BBC by independent production company Angst Productions. Series 15 runs for six weeks in June and July and returns for its second half later in the year.